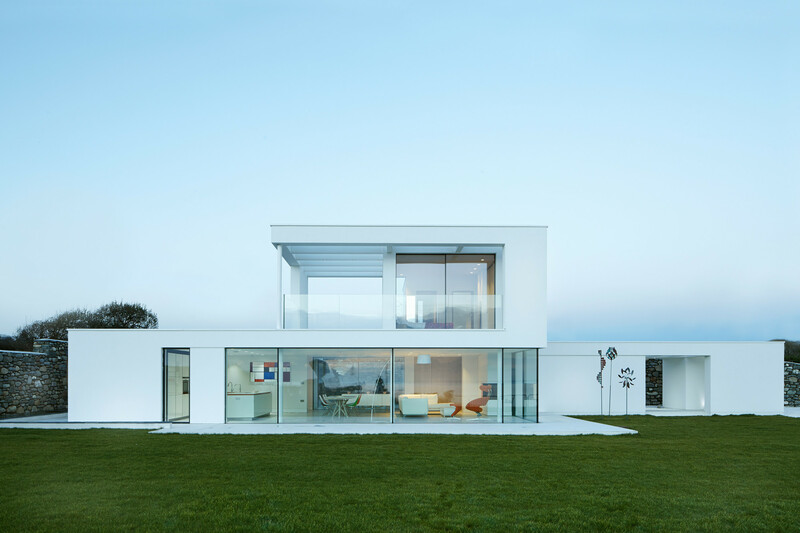 Cefn Castell is a new build contemporary family home on an isolated cliff top location overlooking Cardigan bay in Criccieth North Wales. 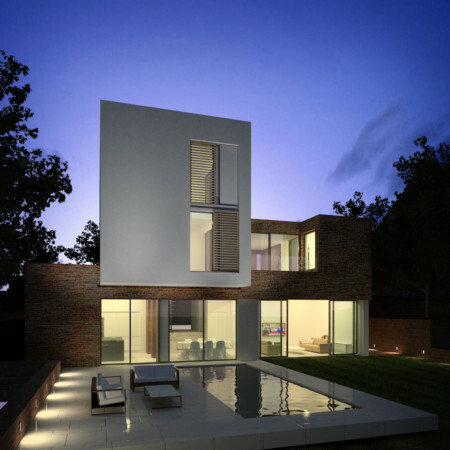 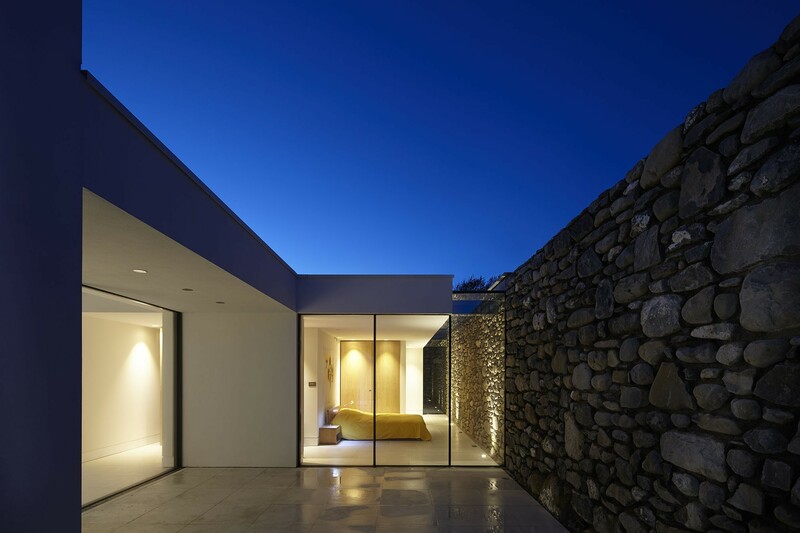 It is a replacement for a dilapidated 400 year old former cottage that stood on the site. 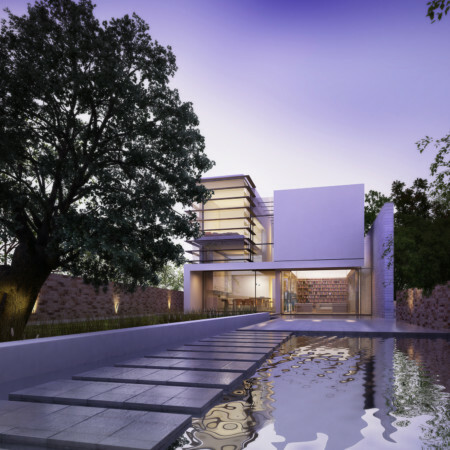 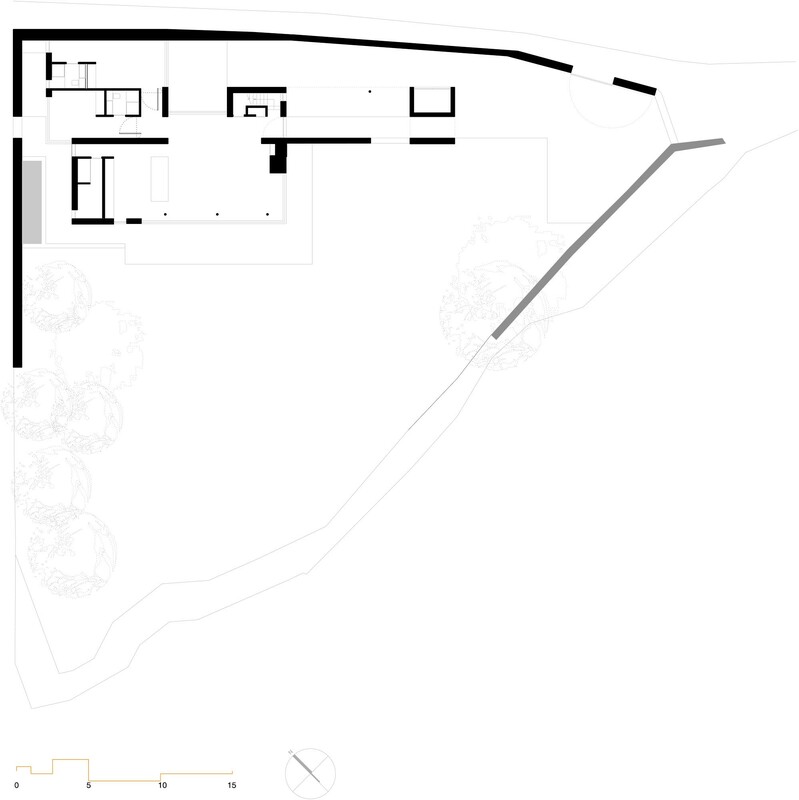 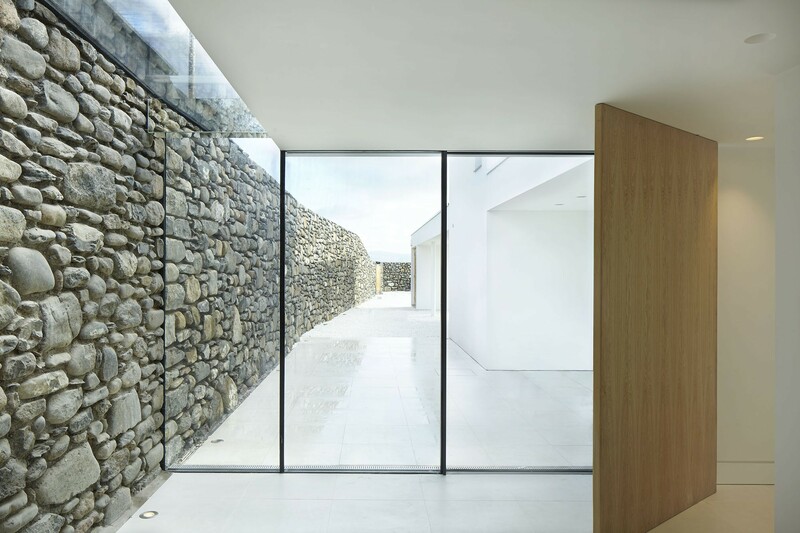 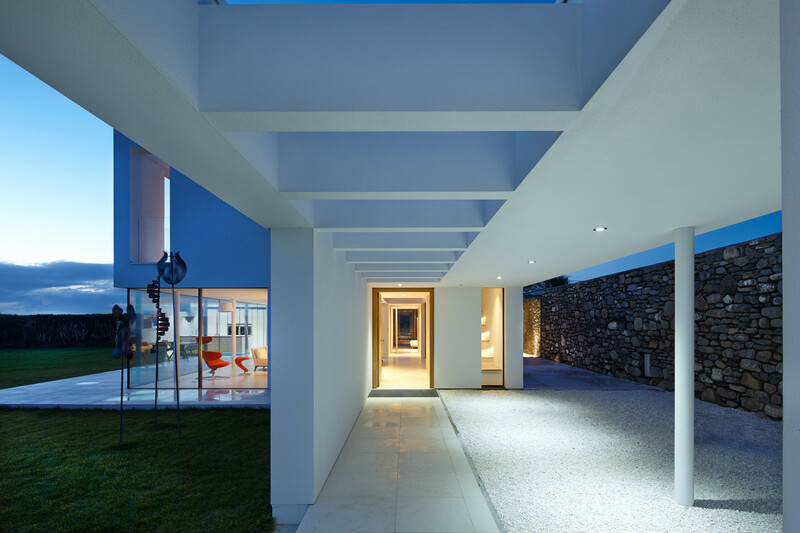 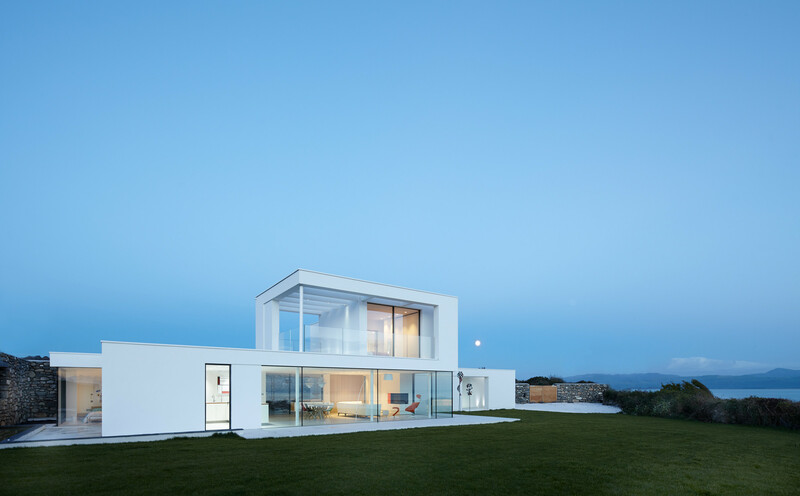 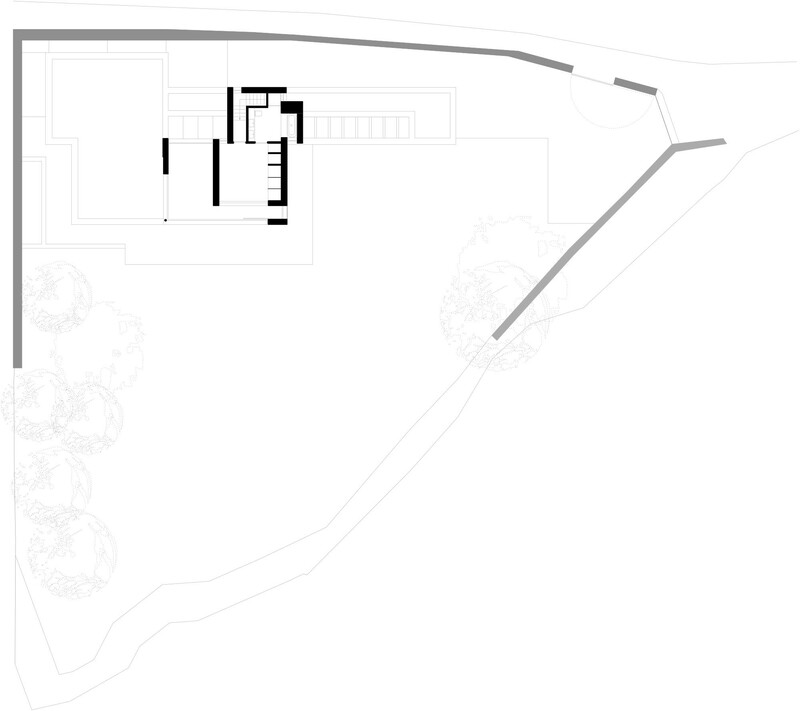 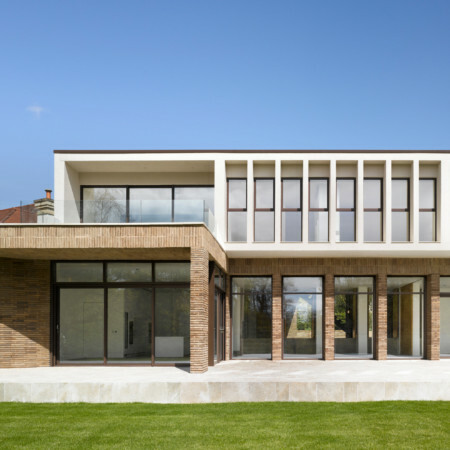 The new house is designed using solid, void and frame as new elements in glass and render, with the backdrop of a monumental natural stone wall constructed from the remains of the existing cottage which envelopes the new house. 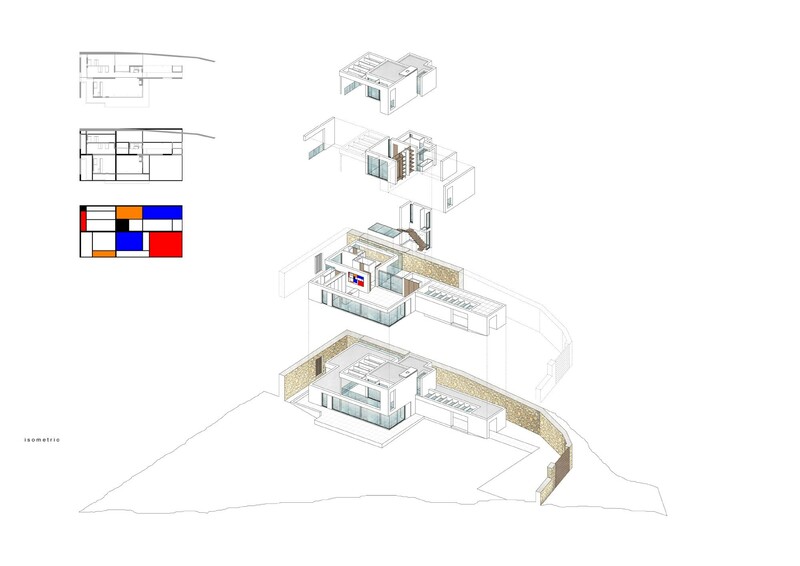 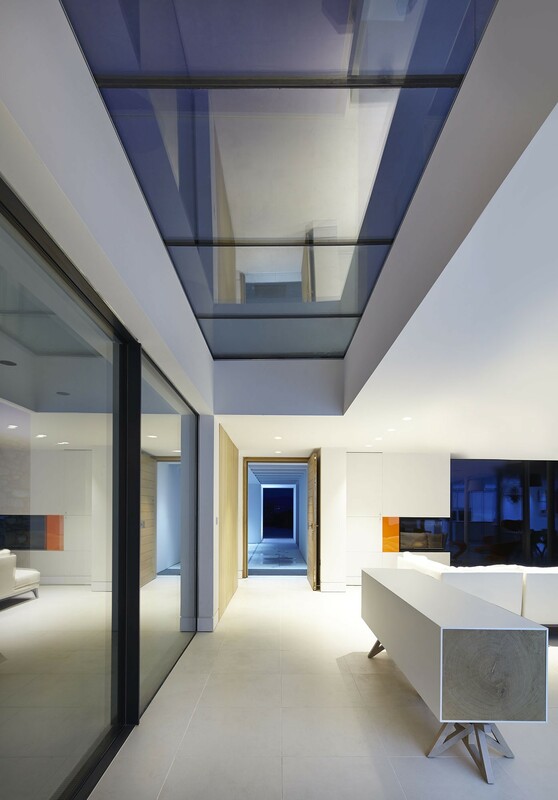 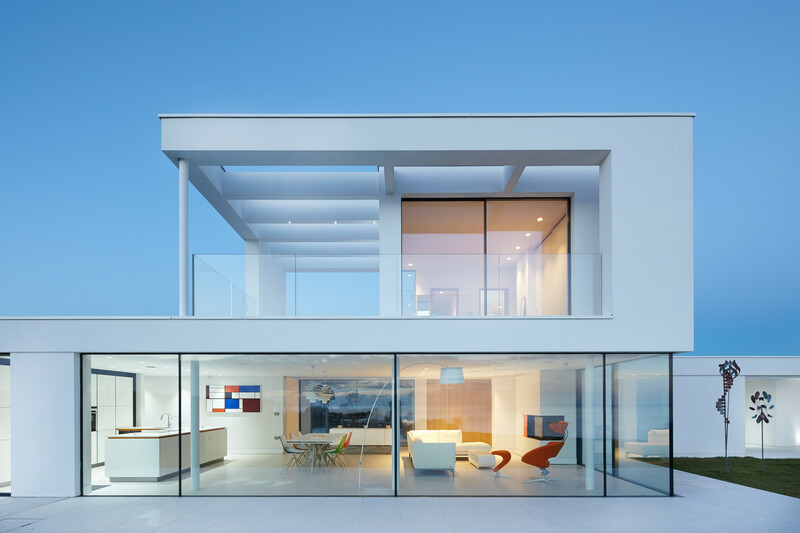 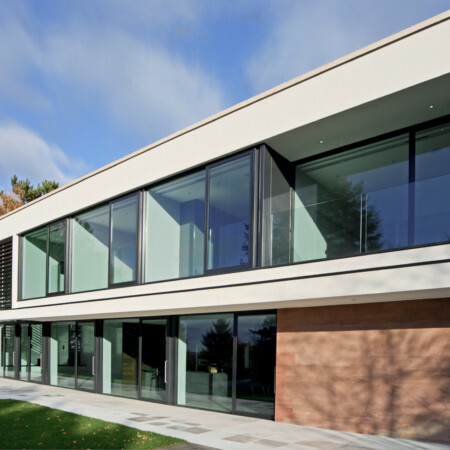 The plan maximises panoramic views from each room, and also links a series of inner spaces internal to external via the use of expansive sliding glazed screens.